Chris Hagenow, Iowa House member from District 59 (West Des Moines, Windsor Heights and Clive). Â He willÂ talk about the 2010 legislative session, issues that are important to you today in Iowa, and thoughts about the 2010 elections… and he’ll answer your questions as well. We’ll have updates on the political news that’s important to you, along with the Smart and Dumb politicians of the week. 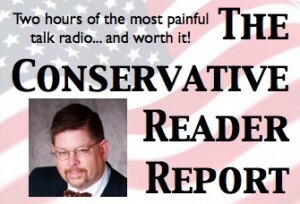 Only on The Conservative Reader Report.